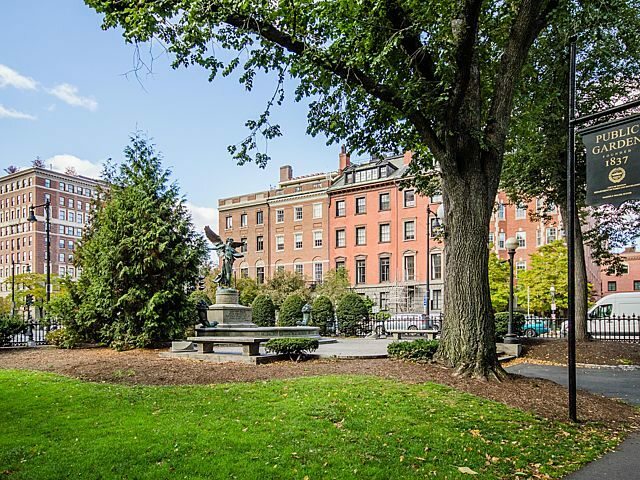 Absolutely Flawless Beacon Hill Location! 1st Time Offered! On the Public Garden with Endless Postcard Views! One of the most Desirable Buildings in Boston! The former Home of Note Broker and Banker Stephen Van Renssalaer Crosby! This Amazing Custom Designed Home encompasses the entire second floor of this prominent mansion! 2500SF+ on one level! The Original Drawing Room & Library have been restored and renovated to Perfection and integrated into this Elegant Home’s masterful floor plan. Direct Elevator access to Grand Receiving Parlor! Towering 12.5ft Ceilings! Chef”s Kitchen with Sub Zero, Fisher & Paykel & copper sink! Dramatic Floor to Ceiling Oak Paneled Library/Great Room with three Enormous Bay Windows , Period Fireplace & Kitchenette for Entertaining! Charles River Views! Lavish Master Suite with a Sitting Room overlooking the Public Garden! Original Carved Marble Fireplace! MBR Dressing room, His & Hers Baths, Endless Closets & Cedar lined attic storage! Refined Elegance! Click Here for the Floorplan and more Photos!